The fall semester is here! 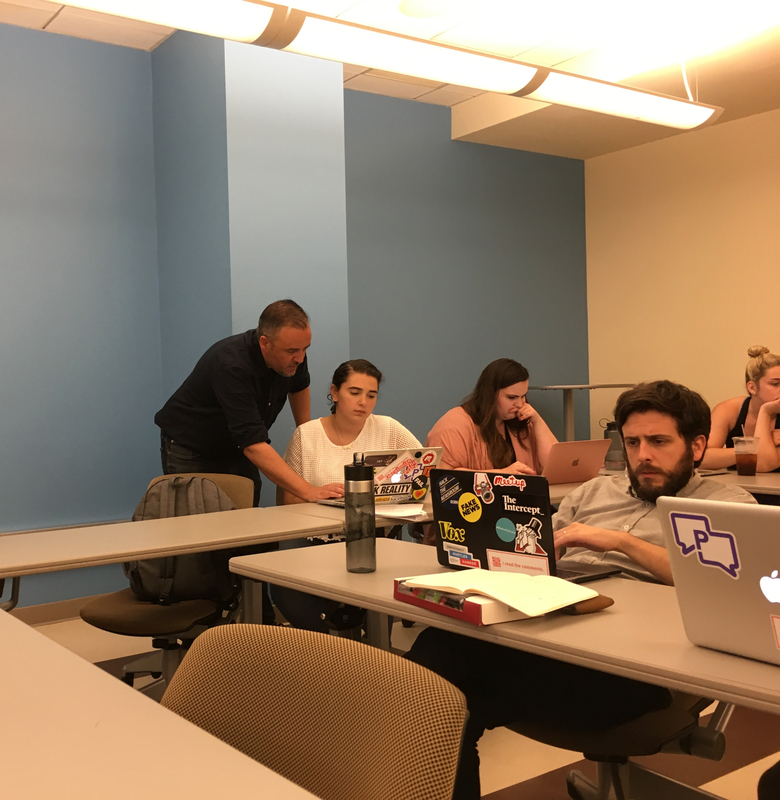 As the journalism industry continues to evolve, professors want to ensure they are preparing students to work in the field, just as students want to learn as much as possible prior to their first media jobs. Join MediaShift for a Twitter conversation about the goals both students and professors have for this school year. During this chat, we’ll touch on curriculum, new technologies, evolving journalism models, innovation, diversity and more. This will be a conversation for students, educators and professionals, as we want to foster dialogue between these three groups. The chat took place on Wednesday, Aug. 30 at 1 p.m. Eastern / 12 noon Central / 10 a.m. Pacific Time. Participants included: Educators Dale Blasingame of Texas State, Lisa Heyamoto of the University of Oregon, Magda Konieczna of Temple University, Timi Poeppelman of Sacramento State, and Melony Shemberger of Murray State University. Student participants included Angelique Cherie of Florida A&M University, Taylor Ysteboe of the University of Missouri, and Paolo Zialcita of The University of Nevada, Reno. #EdShift’s Melissa DiPento moderated the event. Special thanks to CUNY social journalism student Kristine Villanueva for partnering with us on this chat.